Building your business through the web starts with professional website design. And with more than 80% of clicks happening on the first page of Google Search, a quality search engine marketing strategy should be a part of your website design process. That’s why we take an SEO-centric approach to every website we produce — starting with the website design (including navigation and content formatting). SEO web design isn’t rocket science, but effective, long-term organic (unpaid) SEO requires a certain je ne sais quois. Luckily, we love geeking out about search engine optimisation, so you can bet we’re keeping an eye on Google to make sure we’re up-to-date on all the latest and greatest. We know that SEO website design means more than just plain old keyword stuffing (including an excessive amount of keywords into website, like a city name, to improve SEO) and we understand where Google looks, what Google notices, and what Google likes. So we design our websites just for that. Interested in SEO website design in Brisbane? Our internet marketing team is here to help! 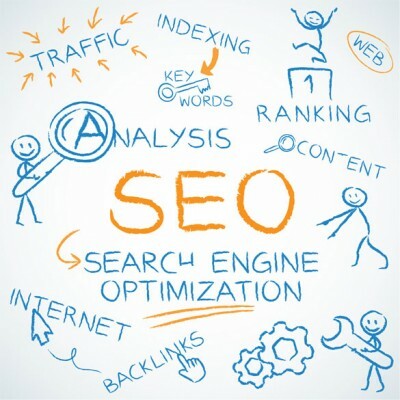 Our website SEO services go above and beyond just “getting you a nice new website” — we’re ready to help you with business branding, online marketing, SEO copywriting, and more. Give us a call today to learn more about how we can help you meet your long-term business goals through a strategic SEO design. Ready to talk about how we can help with your Brisbane SEO Website Design project?